I don’t often review makeup products but I thought this to be an outsanding exception. If you read my last review about Clinique’s new eye cream – Clinique Even Better Eyes Dark Circle Corrector, then you know that I sometimes, as do many, have a concern with dark circles around my eyes. 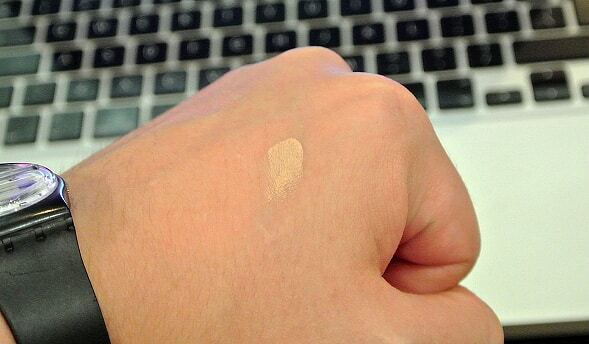 Clinique Even Better Concealer to the rescue. Long term treatment using serums and creams can and are often highly effective, but some days you just want that little extra bit of help. 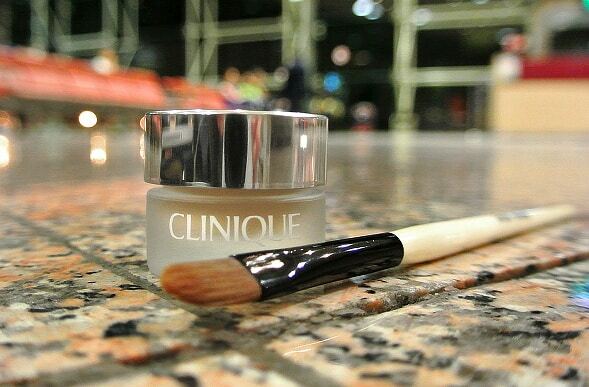 I picked up from Clinique at El Corte Ingles at Plaça Cataluña in Barcelona the Even Better Concealer, a small glass pot filled with magic and wonderment. The initial downside to the product is that it needs to be applied with a concealer brush. 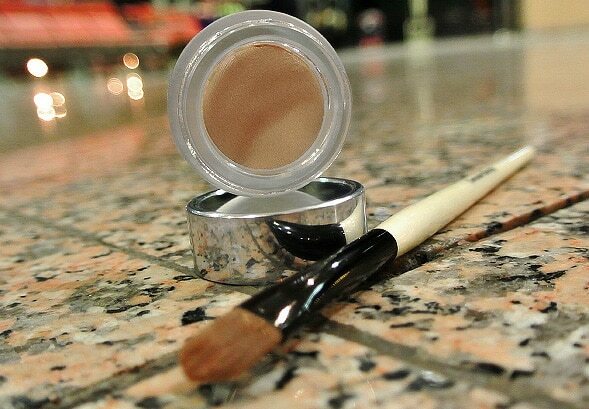 My weapon of choice is the Bobbi Brown concealer brush that I’ve used for a while now. It’s wooden handled and a great length / diameter so it balances nicely in the hand being easy to grip and work with. You only need to load the tiniest amount to a side of the brush, and begin to gently pat onto the skin. The concealer has been designed not to cake on the skin, and as well as covering dark circles, it’s also designed to cover dark marks and hypo-pigmentation as well as coming in 12 shades. As it’s a little thicker than a normal concealer you’d use under the eyes, make sure you apply an eye cream to make sure the area is smooth and well hydrated, allowing the concealer to adhere to the skin without caking. Once you’ve used the brush to apply a small amount of the product, I recommend rubbing your ring-fingers together to warm them, and then begin to gently pat over where you’ve applied, blending it into the skin, rendering it flawless. I found that the product lasted well during the day and didn’t clump up. I really suggest giving this product a try, it’s great for men as it isn’t shiny and leaves the skin looking nice and matt, yet radiant. This article first appeared on MANFACE written by Thom Watson. It was published on Monday 13th August 2012 and was last updated on Monday 3rd April 2017 at 4:13pm. It's categorised under Clinique, Dark Circles, Dark Spots / Pigmentation, Eye Care, Makeup, Special Care where you'll find more related content. I bought it too because my dark circles are getting on my nerves… Although I am satisfied with its coverage, after using this concealer a few times I thought I made a bad choice regarding the shade ! What shade did you choose Thom ? Nice post! I tried this but didn’t enjoy it very much…it was a thick “dry” consistency…not a thick and creamy formula. This made my dry under eyes look super dry and cakey. I do love that they offer a ton of colors! Thanks for the comment! I totally understand, firstly I believe it isn’t truly designed to be an under eye concealer, but rather to conceal dark marks. I did find that when I did use it under my eyes, I did need to use a slightly richer eye cream to create a base and only use the tiniest amount of concealer, almost nothing! I always find it really difficult getting a shade match, being so white, but yeah, was totally amazed at the amount they offer!